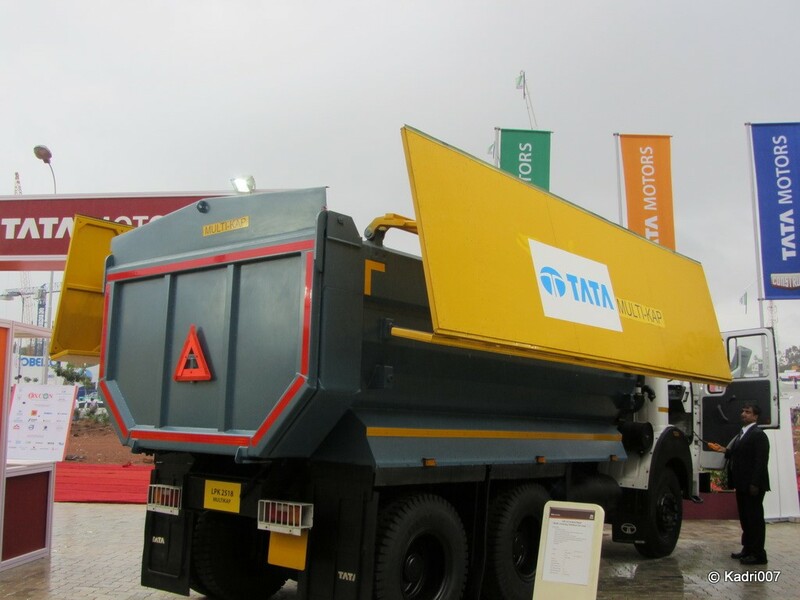 Tata Motors Launched India's first mass market Multi-Kap Tipper in November 2011 during EXCON 2011 event. Though Multi- Kap Dump Trucks are quite common in most of the European countries, to see a Multi Kap truck for the first time in India was something surprising. 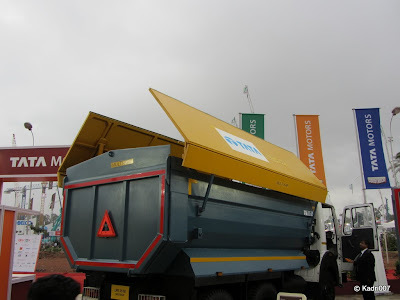 So what's special about Multi Kap Tippers. Most of us in India traveling would have often faced dust problems while traveling behind Dump trucks or have seen stones and mud falling since these Dump Trucks are not covered on top. 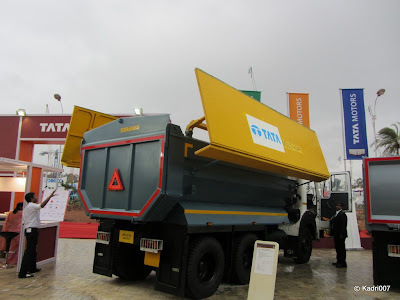 Though there are rules for transportation of sand, mud, stones, garbage etc in covered trucks, most of these rules are often broken. Dump trucks often causes a lot of pollution while transporting material and for tipper owners transporting dusty materials has always been a challenge since both people as well as authorities keep blaming them for creating pollution. Though there were a lot of arguments going on across cities for long time on transportation of construction materials and mud in open tippers, there were no full time feasible solutions for owners to prevent this problem. 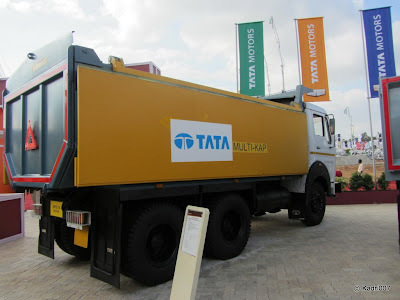 Plastic covers would fly off if not tied and Tarpaulins would be difficult to put every time in construction work. So at last Tata Motors realizing this problem, introduced the Multi- Kap technology in the Indian market. 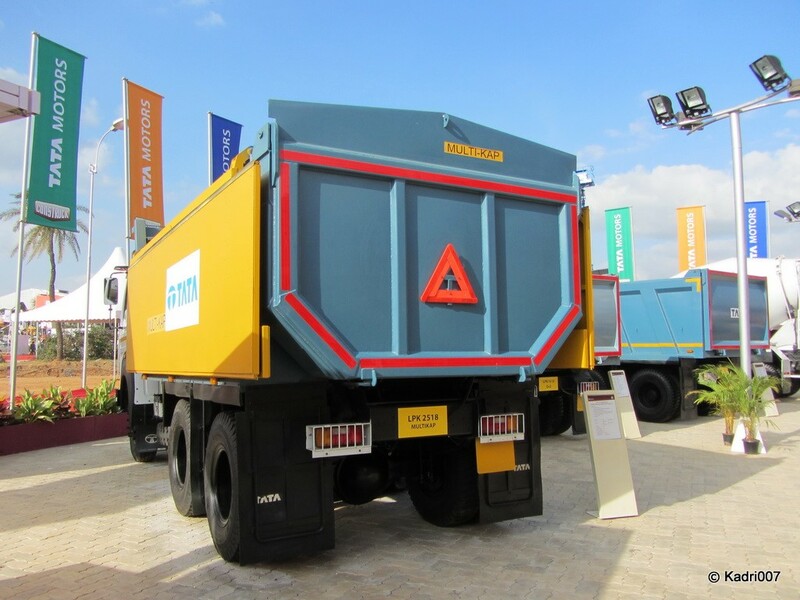 Multi-Kap is nothing but a hydraulic operated cover inducted along the tipper body which is operated with a simple push button. The Multi- Kap opens and closes in a few seconds. This New Tata Multi-Kap Tipper is a welcome sign which would save people from dust and keep the city clean. 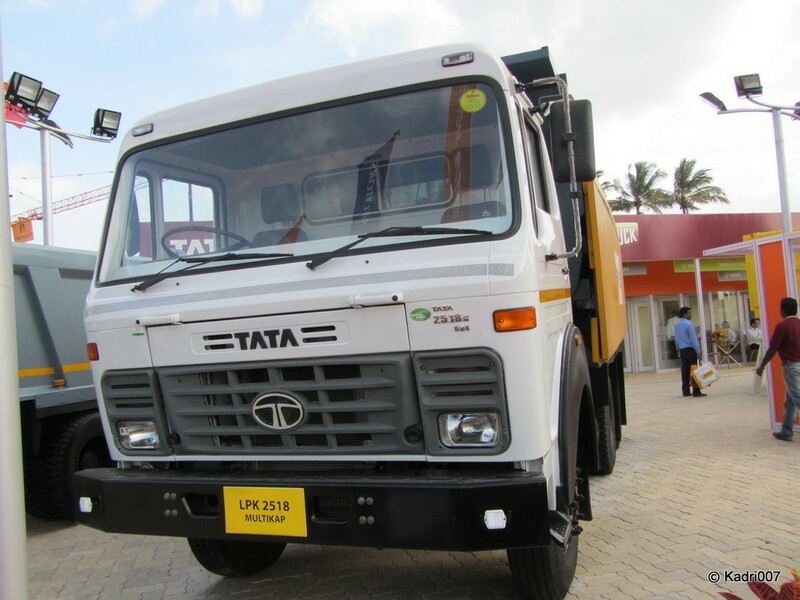 For owners, they can now transport materials in city without any harassment from authorities. And also keep their families away from dust. 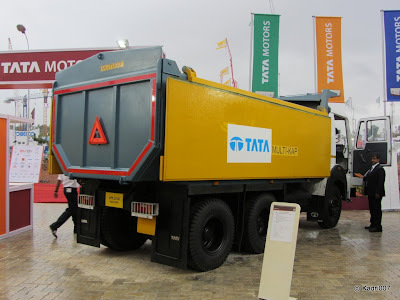 Comes in 6X4 Version, ideal for construction industry. 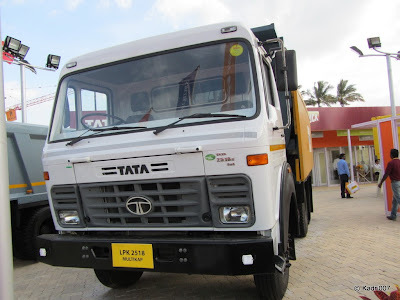 Comes on Tata LPK 2518 inbuilt Chassis with Cabin. Multi Kap operates with a simple button. Complete solution for transporting dusty materials.